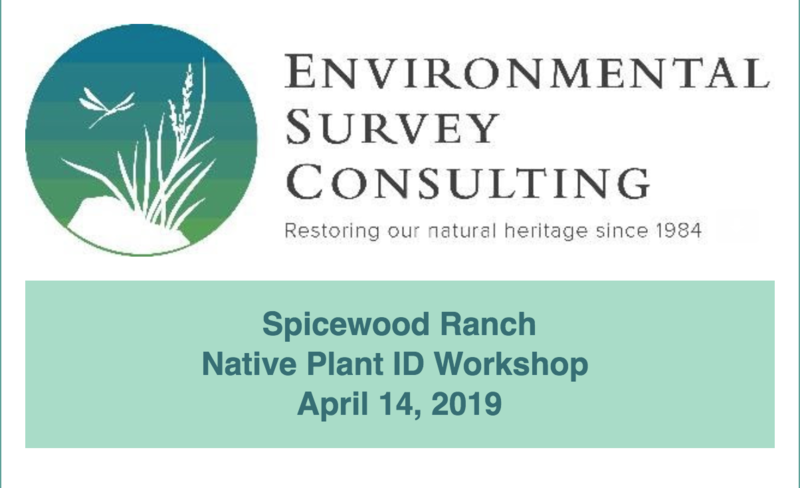 We are excited to announce the first of two ESC Spicewood Ranch Spring Native Plant ID Workshops for Spring 2019! Spicewood Ranch is a 1,200 acre ranch about 1 hour west of Austin where Environmental Survey Consulting has been doing habitat restoration and research for almost 30 years. Those who wish to stay and visit a bit longer can join us at 1 pm for an informal lunch at Del Nanno (the “grandpa house”). Please bring your own lunch, snacks, and water.